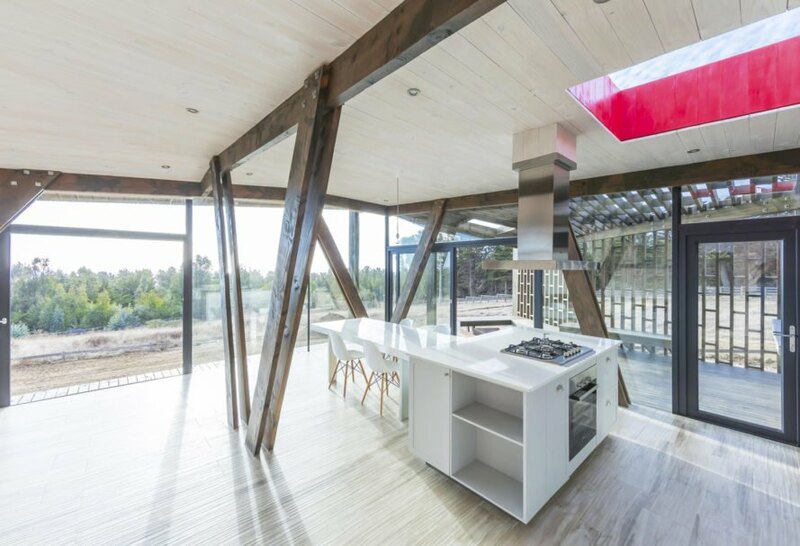 Casa Casi Cubo in Chile uses geometry and patterns to provide shelter from strong winds while letting in tons of light. 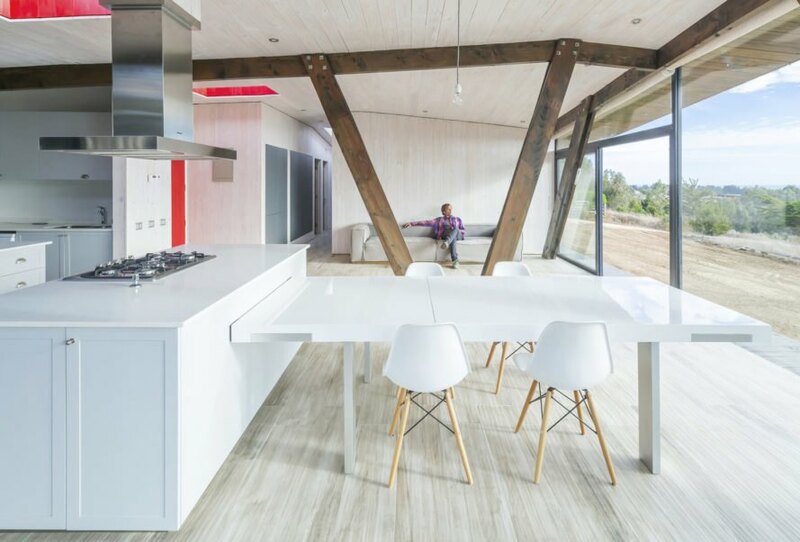 LAND Arquitectos designed the house as a pavilion-like structure that provides protection from the elements while allowing its occupants to enjoy expansive views of the sea. 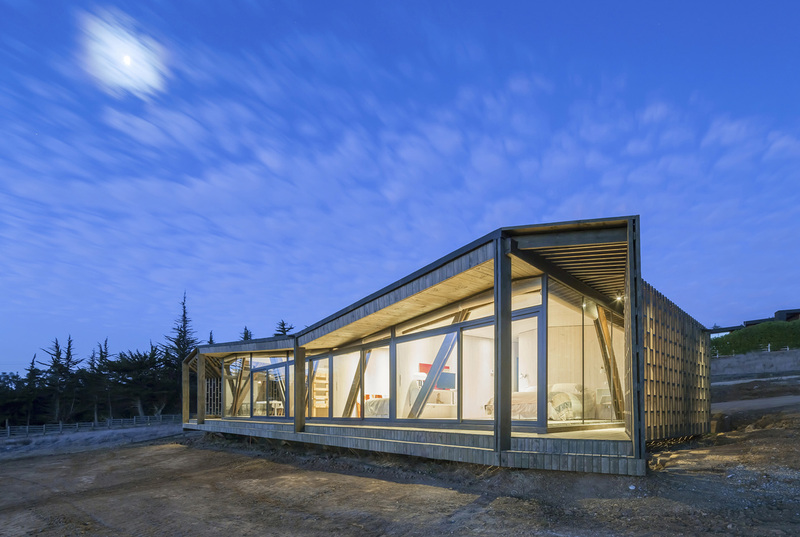 The designer deconstructed the shape of a parallelepiped and used pine wood to create several bends that distinguish the edges of the roof from the facades of the building. Instead of trying to stand up to strong winds, the design breaks them up and channels them along the exterior. The main shared space, where the stove and barbecue area are located, face the north side of the site and is the most protected from strong air currents. This space is connected to a semi-covered area enveloped by a perforated wooden skin. 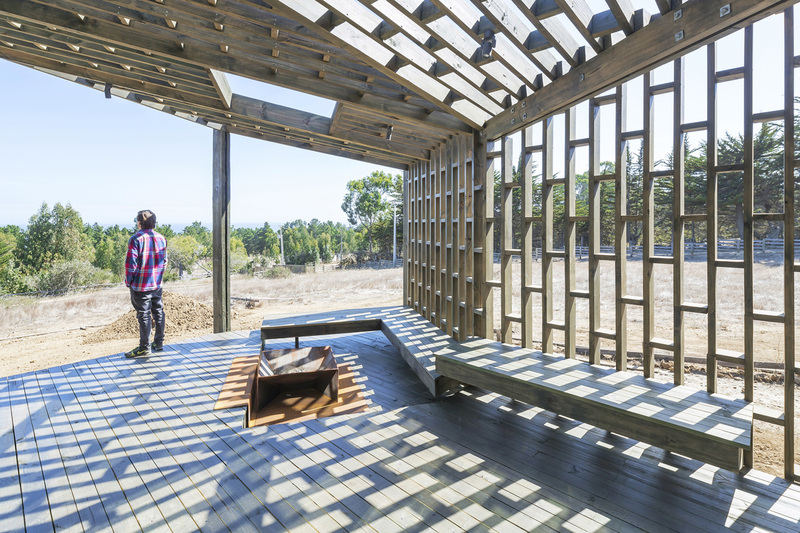 This outdoor space allows occupants to watch the passing sun and enjoy the constant interplay of light and shadow. 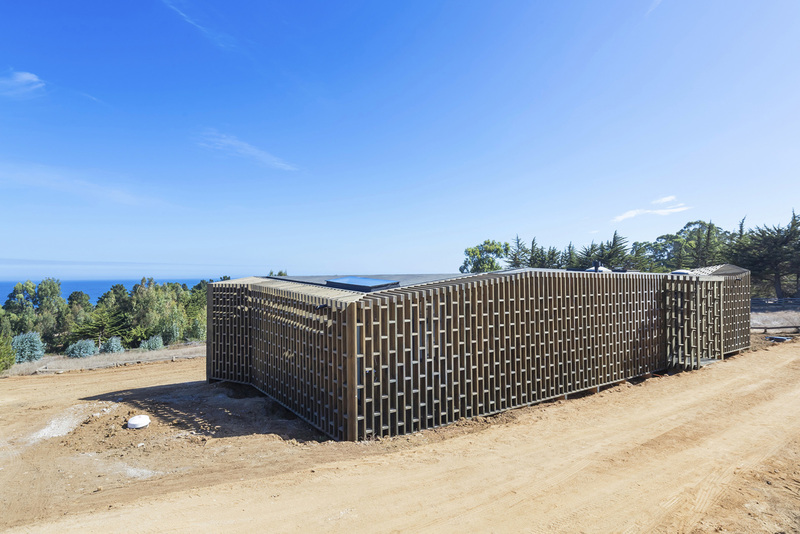 Casa Casi Cubo in Chile uses geometry and patterns to provide shelter from strong local winds. Architecture firm L A N D designed the house as a pavilion-like structure that plays around with different geometries in order to create a balance between protection from the elements and exposure to expansive views of the sea. This space is connected to a semi-covered area enveloped by a perforated wooden skin. 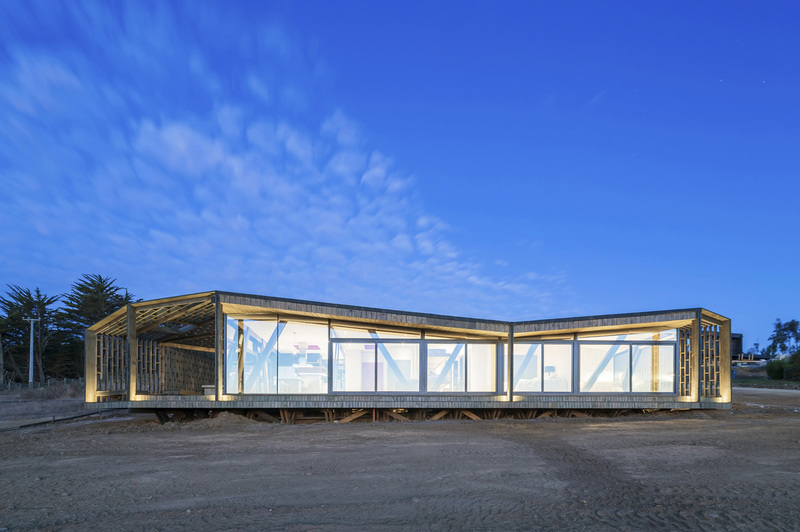 The designer deformed a parallelepiped and used pine wood to generate a series of bends that demarcate the edges reflected especially in the roof and the facades of the building. The design reacts to the presence of strong winds not by trying to eliminate them, but by decreasing and directing them along its walls. The main meeting space of the house, where the stove and barbecue area are located, face the north side of the site and is the most protected from strong air currents. This outdoor space allows occupants to perceive the passing of time and enjoy the constant interplay of light and shadow.